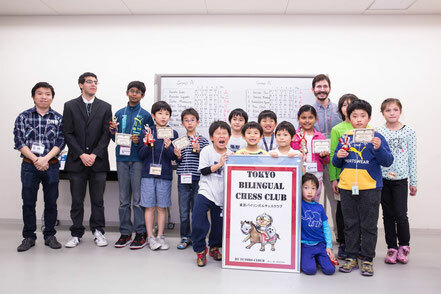 The 4th Scholastic Tournament took place Saturday, April 23rd in Osaki, Tokyo, 14 players participated, the event was organized by Tokyo Bilingual Chess Club. 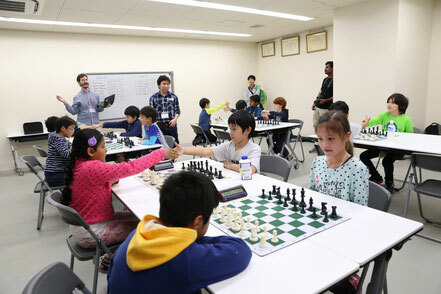 The players were grouped in two sections based on school grades and rating, playing five rounds. Over the board the action was intense and very competitive. 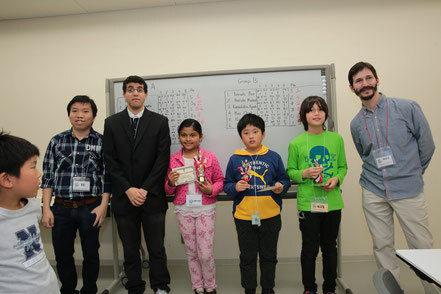 Class A and B were dominated by Haruto Endo and Aarushi Deo respectively with a perfect score of 5 out of 5. We would like to congratulate the winners; we wish them the best! CM, Tran Thanh Tu was also present at the tournament analyzing games and entertaining parents and chess players alike with his contagious excitement. 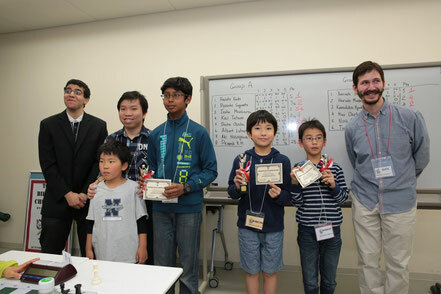 The 1st place winners of each section have received free entry fee for the 5th scholastic chess tournament this summer. Again, thanks to everyone and I hope all had a good time. I know I had a lot of fun, so LET’S DO THIS AGAIN SOON!